Mazda has a load of green tech that it gathers beneath an umbrella called SKYACTIV. We don't know why Mazda insists on shouting about it, but all things green are good, yes. 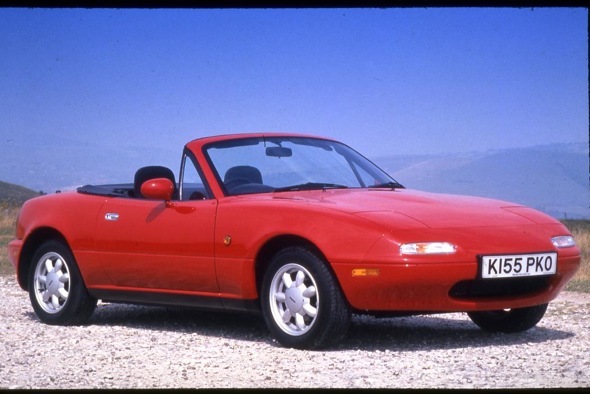 But the LATEST development under the SKYACTIV brolly could, some might feel, be taking things a little too far: the proposition of a 1.3-litre engine for the Mazda MX-5 sportscar. It all sounds a bit more CRAWL-CRAWL than ZOOM-ZOOM, but fret not, for this particular 1.3 will be turbocharged, so it will perform with the SAME gusto as the 2.0-litre petrol ENGINE in today's car. It will be a whole LOT greener, though, because as well as being of smaller capacity, the direct injection engine will use low friction parts and be much lighter. So says Autocar. 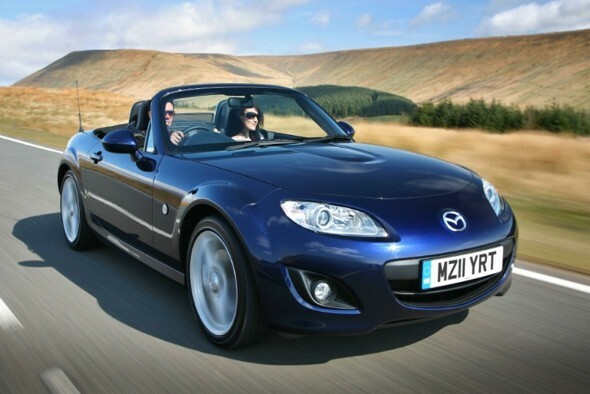 Thankfully, Mazda will not BE limiting the MX-5 to a green-tastic twin-clutch automatic to reduce consumption and emissions even further, but will be STICKING to a good old manual, also USING low friction PARTS. And it will please sportscar driver types to discover that the new MX-5, which is DUE in 2014, is chasing the Lotus Elise in the weight department, with an 800kg scales target - some 150kg lighter than the original MX-5 (below). With cars generally getting heavier, that's quite some trend bucking. Mazda will accomplish this by using composite body panels and pared back cabin plastics, as WELL as making the car smaller. Less body weight means less STRESS on the mechanical parts, too, allowing the company to employ a smaller suspension and brake setup. The brakes are likely to use the i-ELOOP system recently announced by Mazda, which uses brake energy capture to improve fuel economy by up to ten percent. The i-ELOOP system was first shown at the Tokyo Motor Show in the TAKERI concept car, which showcases Madza's 'KODO - Soul Of Motion' design theme.